The 10th, 11th and 12th Doctors are continuing their adventures as part of the Road To The 13th Doctor mini-series, a series of short stories paving the way for Jodie Whittaker’s debut later this year. 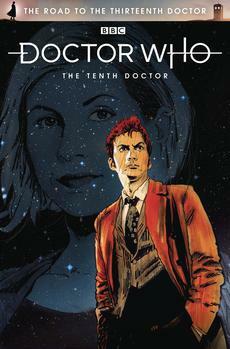 James Peaty, author of the 10th Doctor’s instalment in the mini-series, will be signing copies at Forbidden Planet’s London Megastore on Wednesday 11th July between 6-7 pm. In this opening short story, The Tenth Doctor encounters a lost spaceship whose crew is being absorbed by mysterious ghostly creatures. The Doctor of course jumps in to save the day, but the crew might not be as trustworthy as they seem.